Rosalba Valente is an italian EVS volunteer who is currently doing her Project in the city if Zagreb. This is her impressions on EVS and Croatia. I am Italian, 27 years old, graduated in Nursing. Have you dealt with volunteering before and what you did? No, I did not. It is my first volunteering experience. What’s the reason for you to make this decision and came here to Croatia? I came here to Croatia because I chose the project that I liked most. I did not choose the Country. What is your first impression of Croatia and would you come back again? I am volunteer in Zagreb. I really like the city and all Croatia as well. I traveled a lot around Croatia and it was a pleasant surprise. I would definitely go back. What´s your EVS about? How did you found it? I am volunteer in a therapeutic riding center for children and young with cerebral palsy and autism. I found it on an Italian website. When did you first hear about EVS? By participating in the EVS project, what will be the benefits for you? Did the project live up to your expectations? Discover new cultures by knowing locals and people from other Countries, improving English skills and having more self-confidence becoming an independent person. Definitely I think to be a different person now but unfortunately the EVS disappointed my expectations. What do you think you got after youth exchange? What did you learn/ improve? Which​ ​skills​ ​did​ ​you​ ​acquire? I hope to have more chances to find a job. I learnt to work both alone and in team and to have more self-respect. What​ ​was​ ​the​ ​most​ ​challenging​ ​thing​ ​during​ ​your​ ​EVS? Coexistence with people completely different from you and unwilling to find a compromise to move forward. What advice would you give to new EVS volunteers? Never give up! You will not always be happy, you will have bad days but if you are strong enough to find the strength to go on looking for new and exciting goals, I assure you that it will be one of the best experiences of your life. This article is part of “Cro – EU – Planet Earth” project which is funded by the European Union. Objective of our project is to inform Croatian youth and involve them in various educational, work related, volunteering and traveling opportunities. 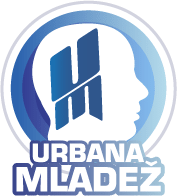 If you want to be updated on various opportunities “Cro – EU – Planet Earth”, please subscribe to our mailing list by sending us email on urbanamladez@gmail.com with title “Subscribe” and put in your name and surname and year of birth. Next Post: Erasmus Programme: Just go for it!